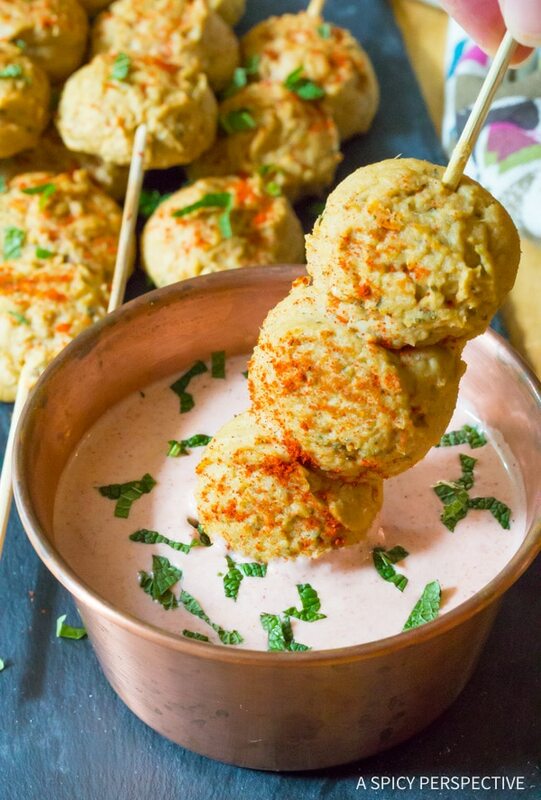 Tuna Chickpea Kofta with Harissa Yogurt Dip, a unique and healthy kebab recipe with bold Middle Eastern flavors! I’m intrigued by the wide array of flavor profiles and cooking styles found in various regions around the world. 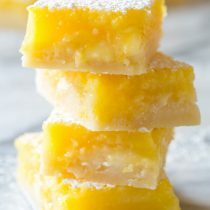 Some recipes are so obscure, they can only be found in one remote village on the entire planet. Other dishes spread across country borders over time. Kofta is a sort of pressed meatloaf that is popular all over the Middle East and Balkan regions. 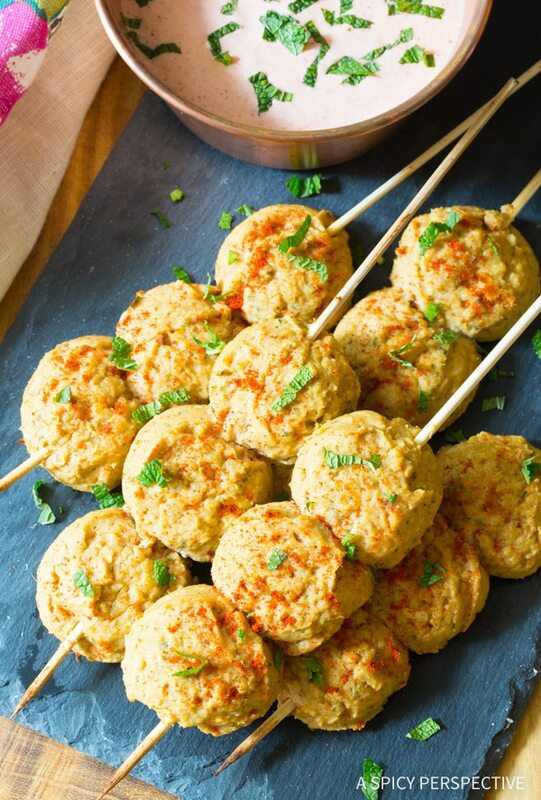 It’s most often made with ground lamb or goat, and served as meatballs or on skewers. I’ve always enjoyed kofta kebabs with dipping sauce. 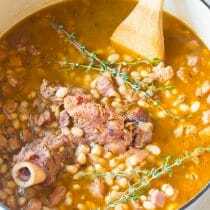 Usually when I make them at home I use ground beef, or sometimes a combination of beef and lamb. However this summer I thought it would be interesting to make a lighter kofta variation. 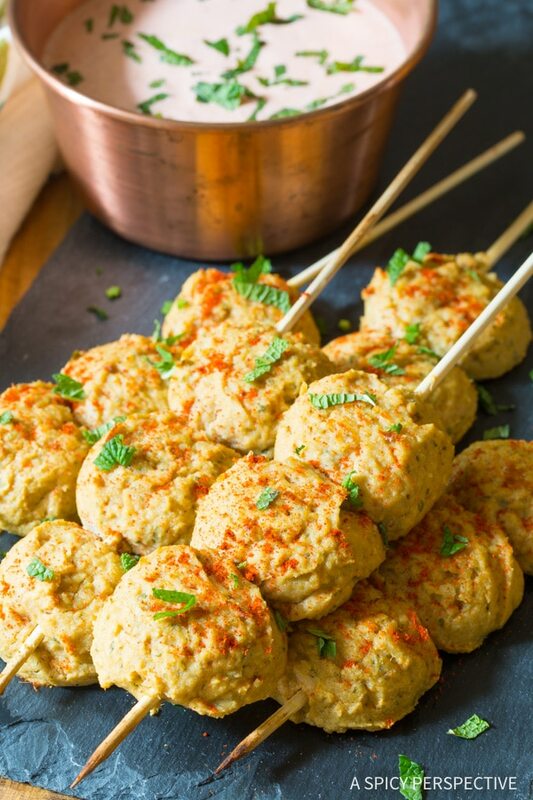 Today’s healthy recipe, Tuna Chickpea Kofta with Harissa Yogurt Dip, is made with Genova Yellowfin Tuna in Easy-Open cans, chickpeas, yogurt, fresh herbs, and spices. The chickpeas hold the mixture together, giving it substance. The Genova Yellowfin Tuna provides the kofta with a lovely light seafood flavor, and packs in plenty of protein. 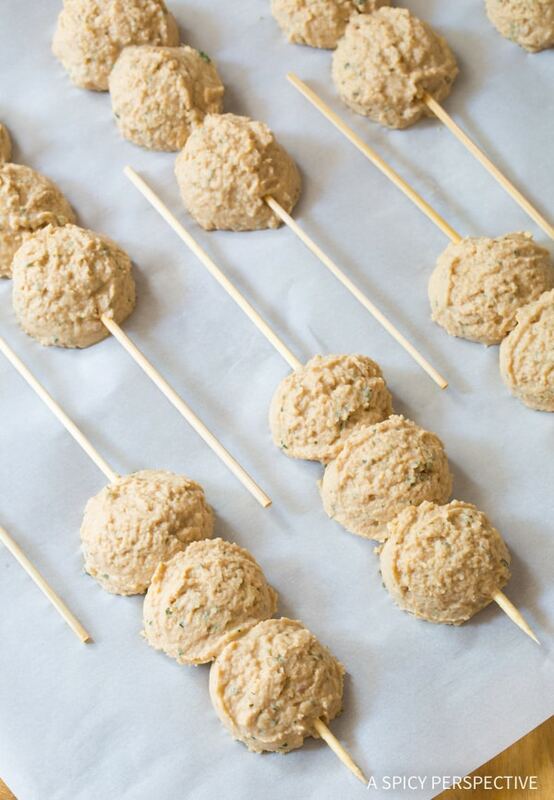 Adding good quality tuna packed in olive oil also helps keep the kofta from drying out. These kofta kebabs have a tender falafel texture, with tons of flavor from garlic, yogurt, and spices. 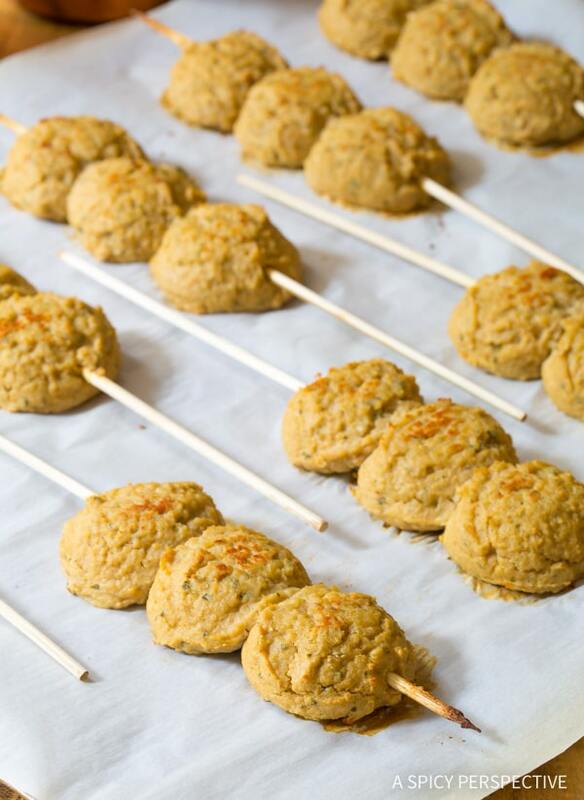 They kofta blend is so soft, it’s best to press it onto skewers and bake them in the oven. However, you could sizzle them on a griddle with olive oil. Tuna Chickpea Kofta is great on its own, but tastes even more delicious dipped in a quick sauce made with yogurt and harissa paste. Both the kofta and the sauce can be made it minutes for a fast and healthy dinner! 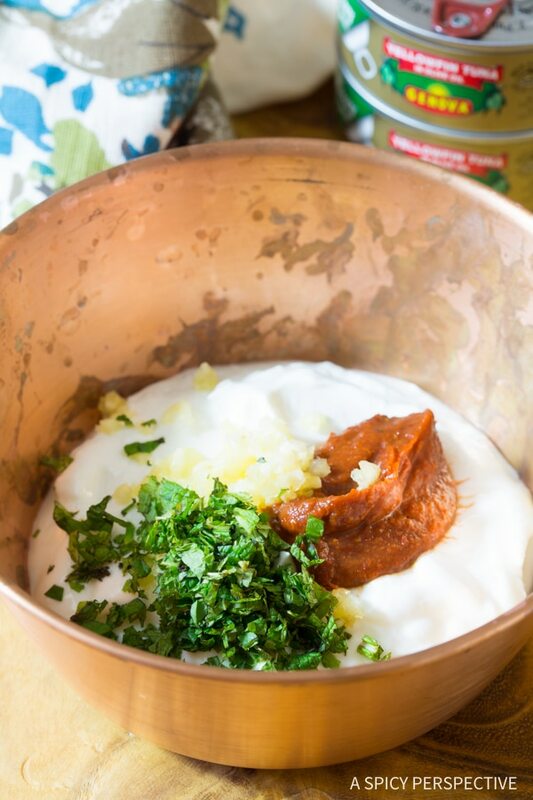 Tuna Chickpea Kofta with Harissa Yogurt Dip is an easy mid-week meal, using pantry staples, that will wow your family at mealtime. 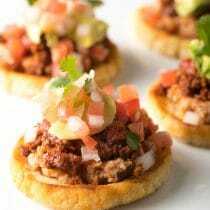 Love quick healthy tuna recipes? 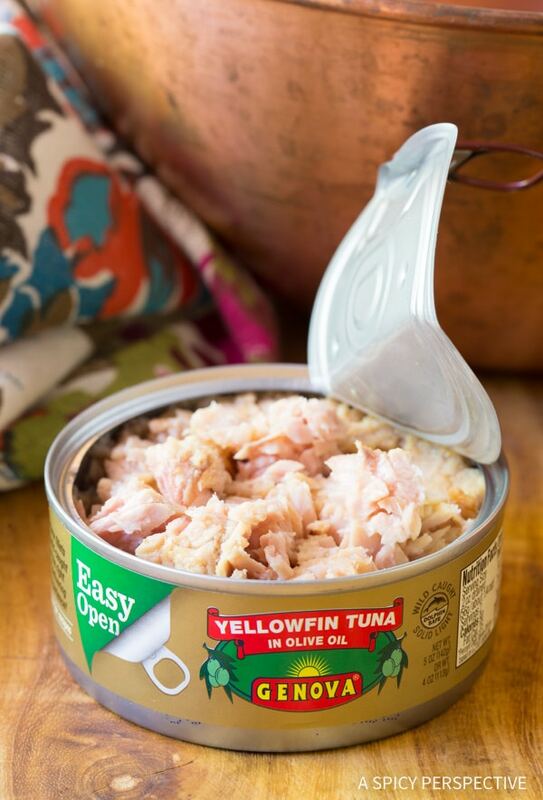 Check out our Tuna Pasta Salad with Olives and Capers recipe made with light flaky Genova Albacore Tuna! 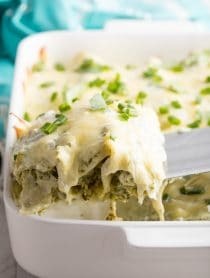 It’s a perfect potluck dish that happens to be packed with protein. Disclosure: The post is sponsored by Genova Seafood. All opinions are our own. 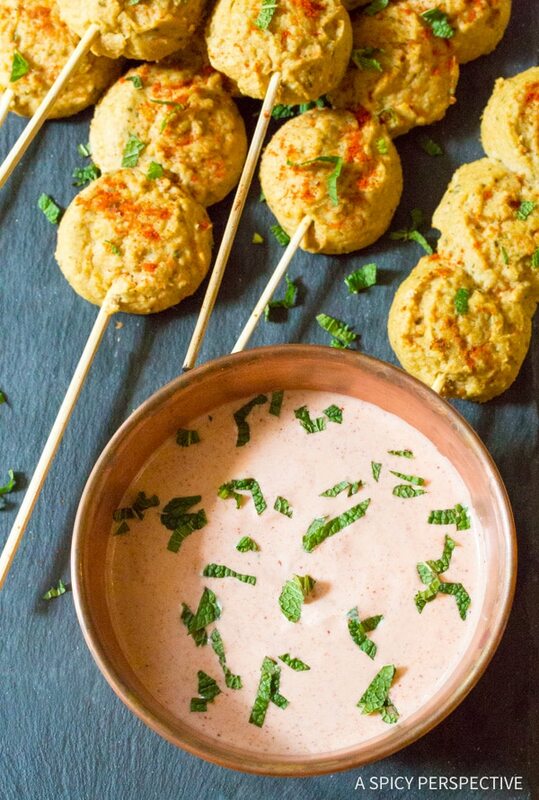 Healthy Tuna Chickpea Kofta with Harissa Yogurt Dip - A light vibrant kebab recipe with bold Middle Eastern flavors. 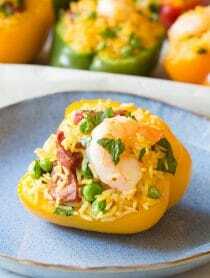 Low carb and high protein! Combine all ingredients in a small bowl. Season with 1/2 teaspoon salt and pepper to taste. Chill until ready to serve. 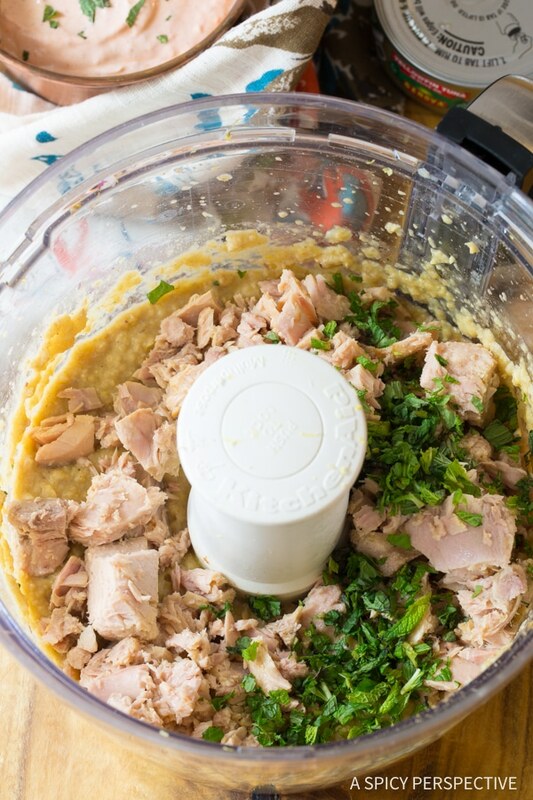 Place the drained tuna and chickpeas in the bowl of a food processor. Pulse to combine. 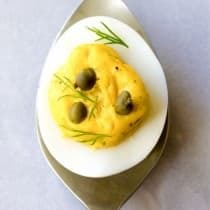 Then add the egg, yogurt, onion, mint, garlic, lemon zest and spices. Season with 1 teaspoon of salt and 1/4 teaspoon black pepper. Puree into a thick paste. Can't find harissa? 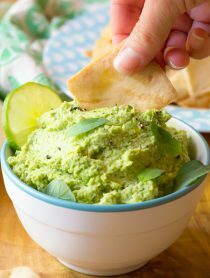 Try substituting tandoori paste for a unique flavor!